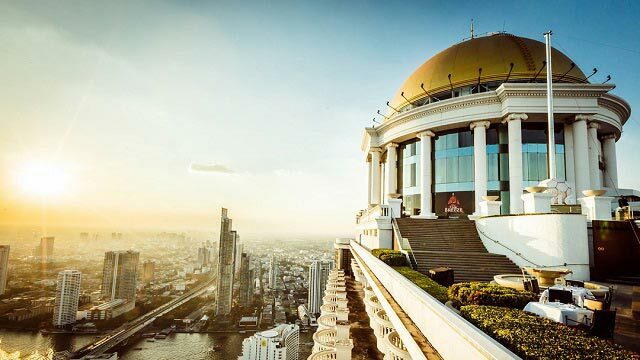 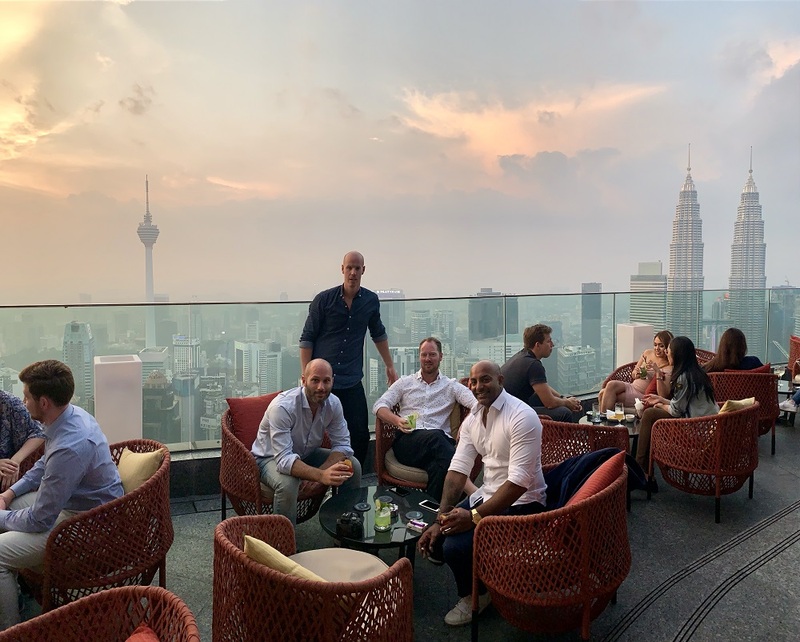 A luxurious terrace among the Bangkok rooftop bars available here, located on the beautiful hotel Eastin Grand Hotel Sathorn. 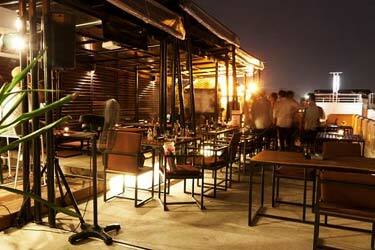 The roof terrace is luxuriously furnished with stylish furniture, comfy chairs and really lovely and large wicker lounge furniture. 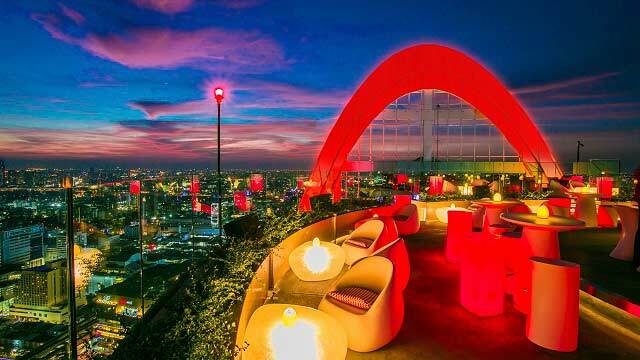 But the best thing about the Eastin Grand Hotel Sathorn rooftop bar is the giant rooftop pool that stretches across the whole roof terrace. 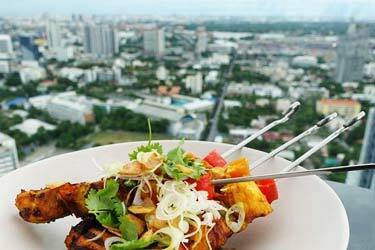 Here you can enjoy snacks and cocktails while you swim in the rooftop pool and gazing out over the majestic views that Bangkok has to offer. 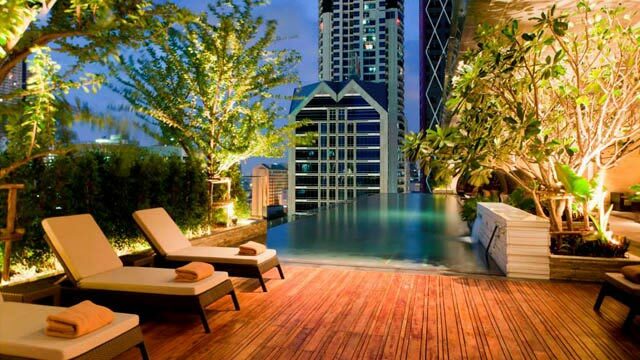 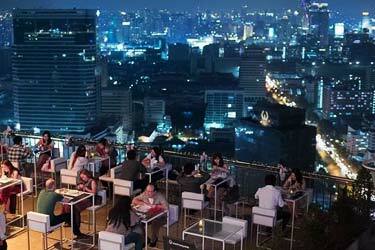 A superb place among the best rooftop pools Bangkok has to offer, if you like luxury and harmony. 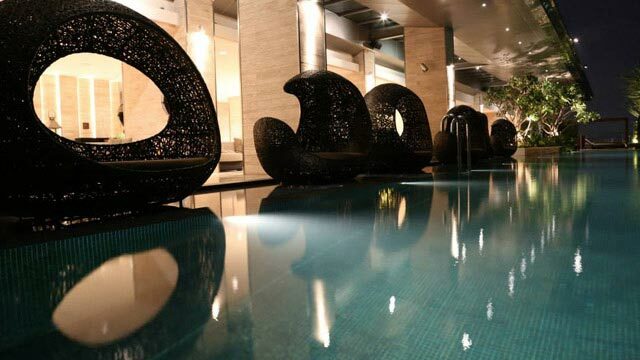 To enjoy the pool you have to stay at the hotel, but as a non-guest you can visit the poolside restaurant Blunos, where 2-Michelin Star chef Martin Bluno serves a wide range of international dishes. 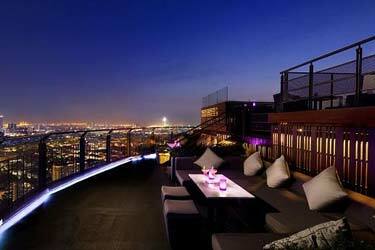 All with a Michelin Star touch, but with reasonable prices and in a relaxing atmosphere. 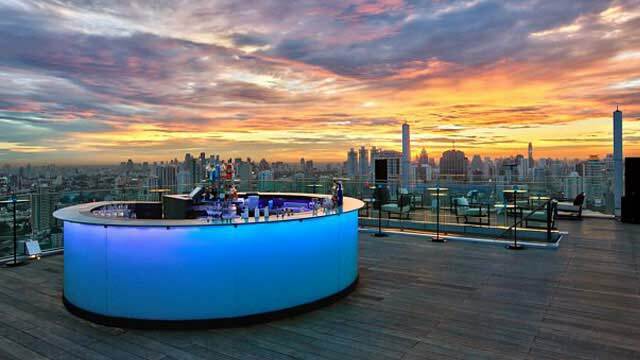 There is also a polside "hang-out" bar, open for everyone and with a resident DJ every Tuesday to Sunday night. 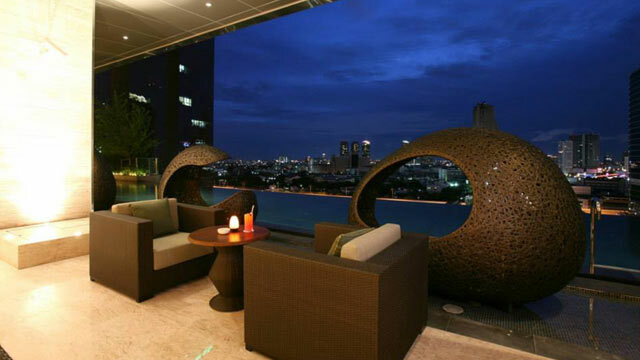 Perfect for a cocktail with friends in a relaxing enviroment. 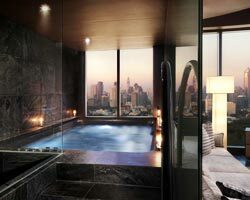 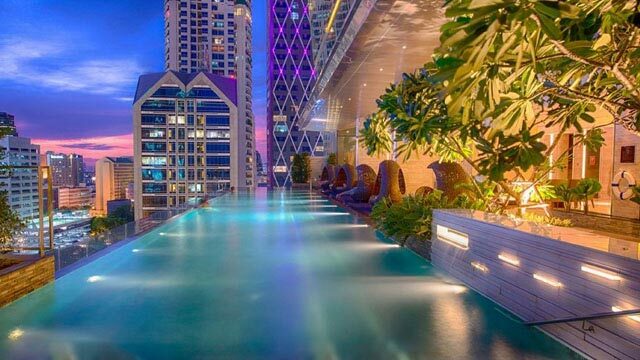 Tip: Make sure to get a dip in the probably most beatiful rooftop pool in Bangkok by staying at the 5-star Eastin Grand Hotel Sathorn.